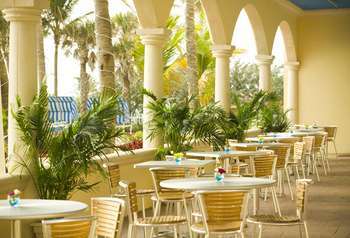 If tropical drinks are your passion treat yourself to one of the many refreshing drink specialties at our oceanfront Tiki bar. For coffee lovers, our café offers its lobby Espresso Bar where you can enjoy a variety of beverages or light meals throughout the day. Open from 7:00 a.m. to 10:00 pm daily, our restaurant offers fine dining in a casual but elegant atmosphere….at very affordable prices! 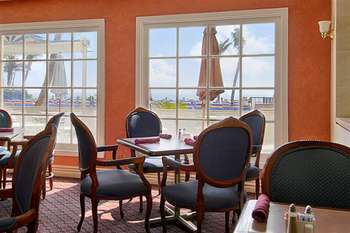 If it is nightlife you fancy then prepare yourself for live entertain-ment in the Polo Lounge, a perfect retreat after a leisurely dinner in our oceanfront restaurant.